Puerto Rico's governor has signed a bill that puts the island's debt payments on hold until January 2017. Gov. Alejandro Garcia Padilla says the island's first priority is covering payments for essential services. 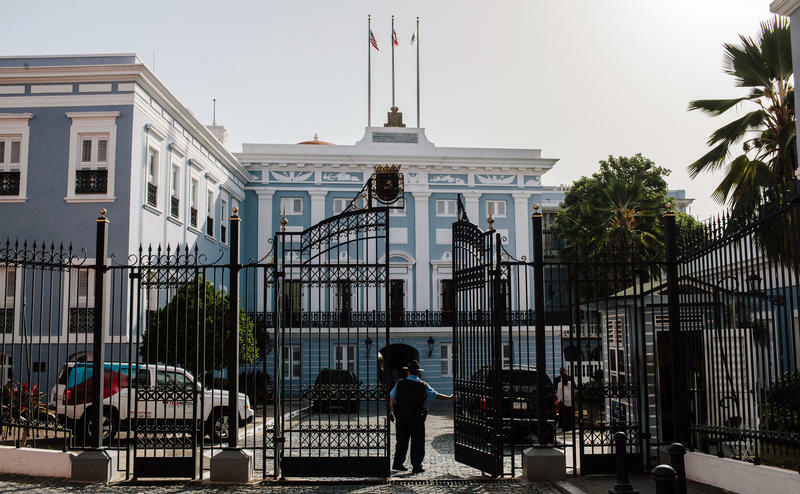 Puerto Rico acted this week following reports that a key financial institution, the Government Development Bank, is nearly insolvent. A group of hedge funds went to court to block public agencies from withdrawing funds from the bank. Within hours, the Legislature moved to pass the debt moratorium by approving the measure. The investigative journalism non-profit ProPublica went through court data from 1996 through 2014 in 11 states, including Florida. Capital One has more court filings than any other lender during those years. In each state, Capital One stood out as the bank that sues its customers the most and for the smallest amount -- as little as $1,000. One day after a shooter killed nine people and himself at an Oregon community college, Democratic presidential candidate Hillary Clinton said she’ll seek tougher gun laws if she’s elected. Clinton made the pledge to about 1,000 people at a Friday campaign rally at Broward College’s Davie campus. Clinton said people shouldn’t be afraid to attend class or see a movie. A new study says South Floridians are swimming in credit card debt. Maybe drowning in it. CreditCards.com, a self-described “online credit card marketplace,” looked at average debt versus median income for 25 major metropolitan areas to determine a region’s credit card debt burden. The Miami metropolitan area had the fourth worst debt burden in the country. Argentina's New Debt Drama: A Boost For South Florida Condo Sales? Argentina is no stranger to financial crisis. But an unprecedented drama is playing out there this summer, one that could alter the rules in global debt markets – and boost the sales in South Florida condo markets, as more Argentines look for safer places to put their money amid the turmoil. At issue is $100 billion: the mountain of sovereign debt Argentina defaulted on in 2001 amid a horrific economic collapse. It was the largest default in history.